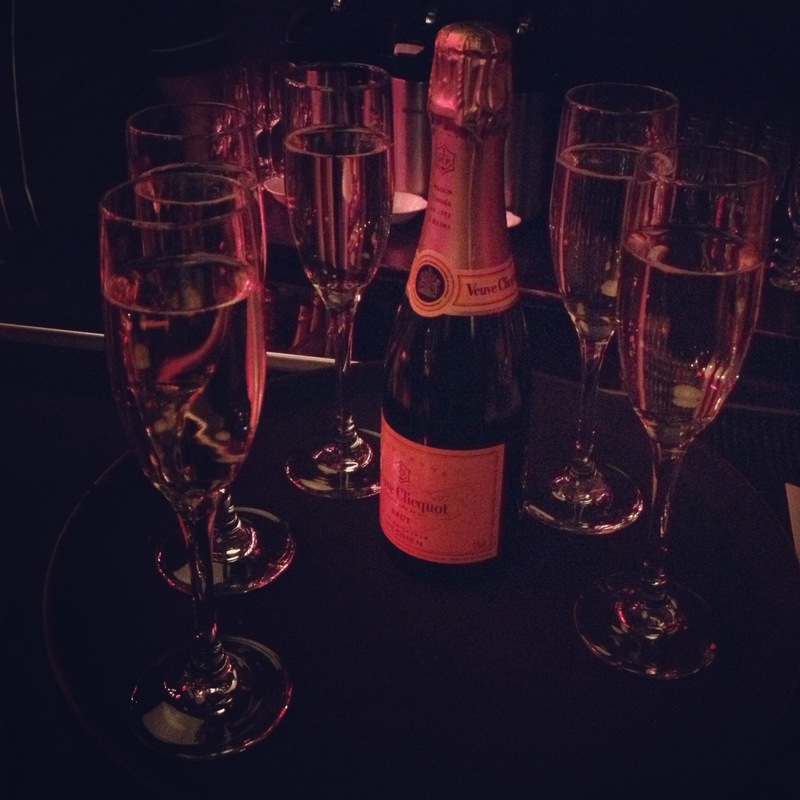 happy clicquot and curling happy hour! Blech, it was one of those vile cold and rainy January nights in NYC. 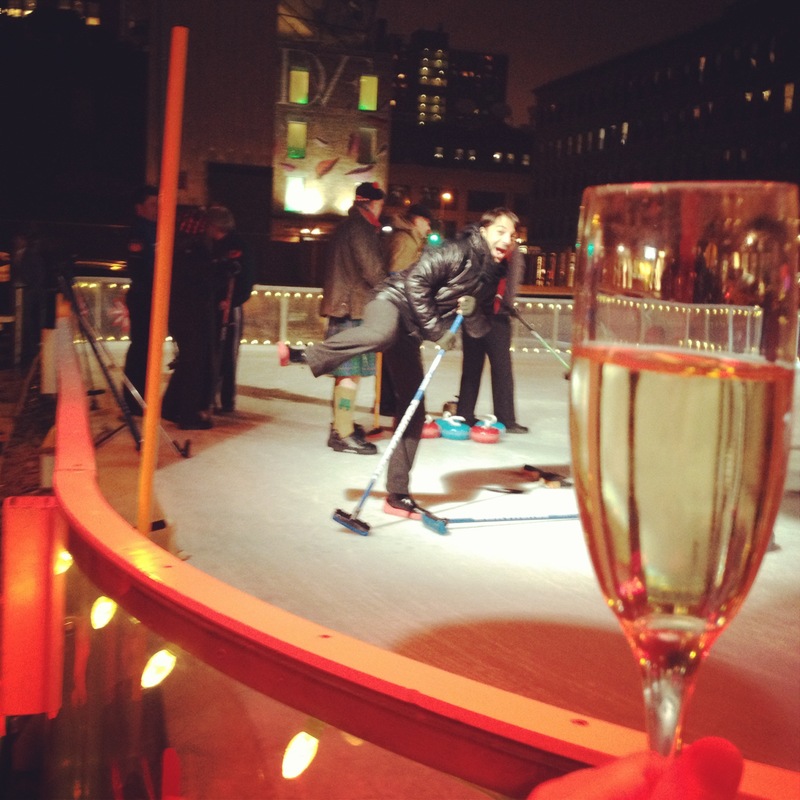 But a very yucky night was made way better with some Veuve Clicquot and curling lessons at the Standard ice rink! 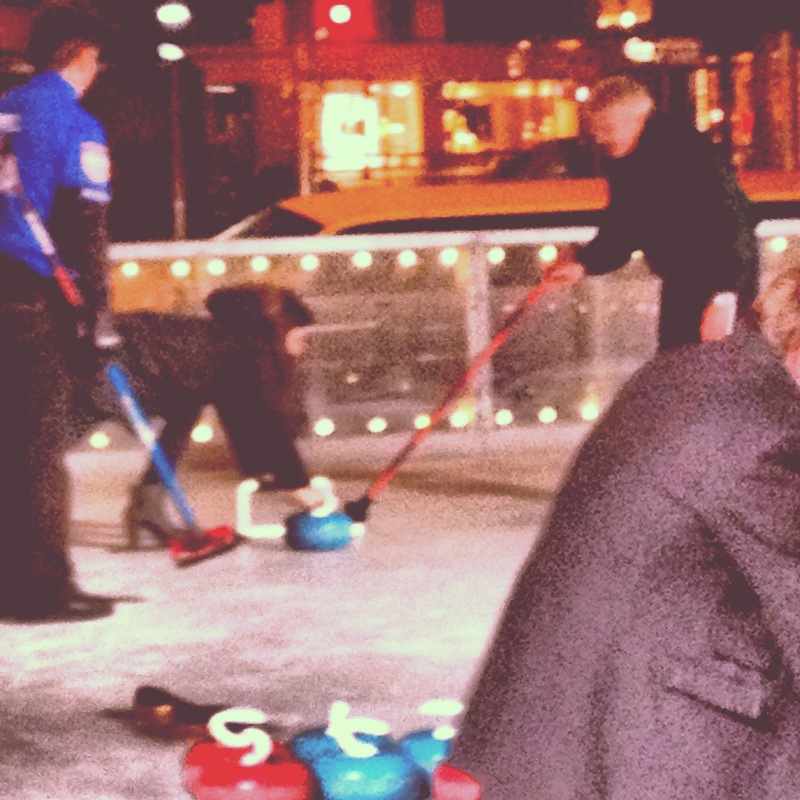 Normally you’d just be psyched with magnums and trays of Veuve flutes being served to you every five minutes, but in addition we got to curl! I’d never done it before so was psyched to try it out. The Norfolk Curling Club gave anyone brave some lessons, and grapefriend is nothing if not brave. The guys were so cute too – one was wearing a kilt and one is the defending Olympic champion! I was nervous because hey, that ice is slippery and also because of course I was wearing heels (I borrowed my friend’s awesome rubber-soled Sorel boots, but you still have to be fashionable). Check out my form (and my heels)! 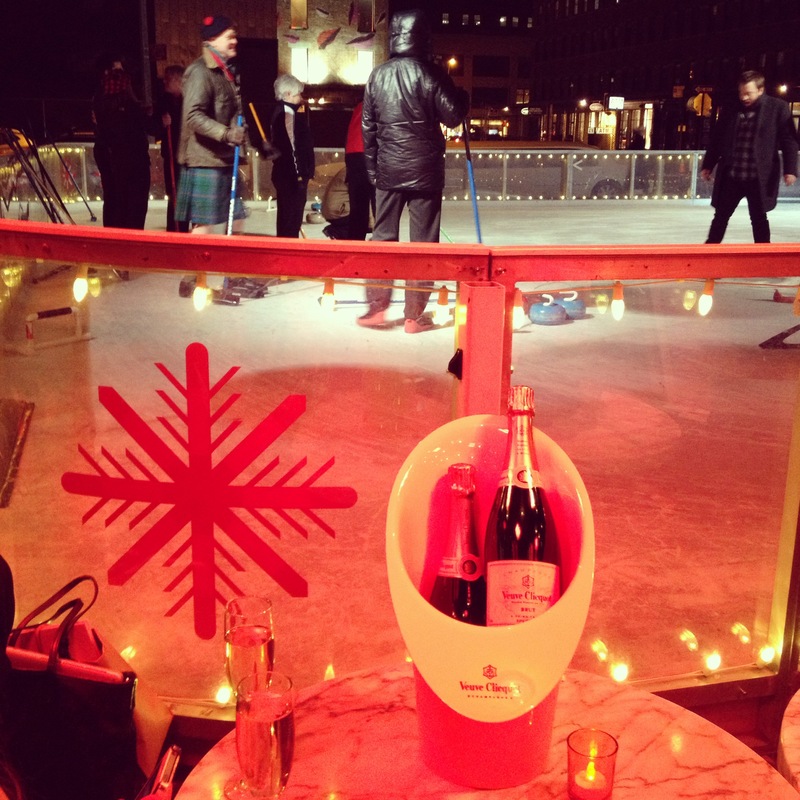 A great time curling with Clicquot in the Snow! Tags: champagne, veuve clicquot. Bookmark the permalink.